Dr. Aaron acquired HealthFirst in 2007 and has been providing effective, safe and natural chiropractic care to the Milbank community ever since. We begin each day with the following mission in mind: To afford them the most cost effective chiropractic care in a fun and vitalistic atmosphere using cutting-edge technology. We hope to inspire and educate our patients to help them lead happier, healthier lives without the need for drugs or surgery. At HealthFirst, we’re proud to offer care for patients of all ages. In fact, we often see entire families who schedule their visits all at once. Whether you’re looking for care for a newborn, adolescent, yourself or senior citizen, we’re here for your entire family. Most importantly, we’ll never force you to do anything that you aren’t ready for—Dr. Aaron will simply make specific and custom recommendations for your wellness and let you decide how to continue. 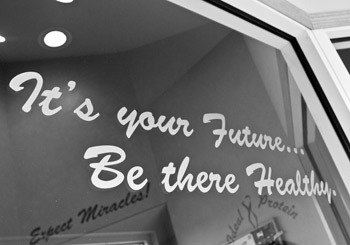 We’d love the opportunity to show you exactly how we can improve your health and wellness for the long term. Contact our practice today to schedule your first visit—we accept most insurance plans and offer same-day appointments when available.